Image: Mcrosno/Getty Images. Design: Kenzie Mastroe/SheKnows. Let's get this straight. 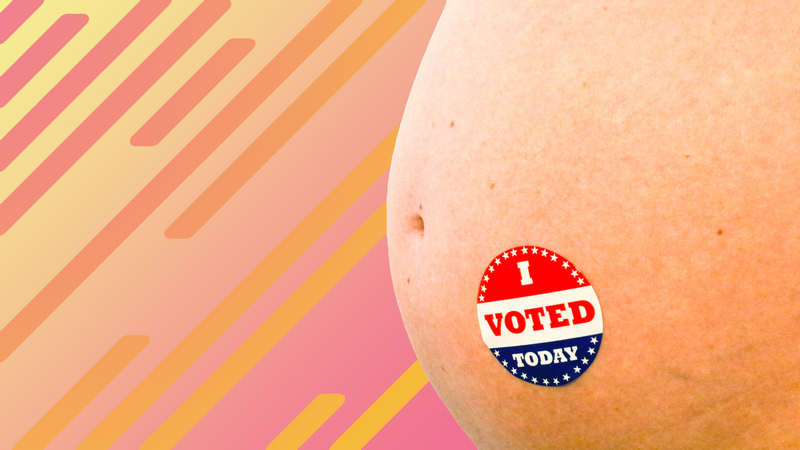 You're in labor, your baby is crowning — and you think that's a good excuse to miss voting? Oh, fair enough. We can't deny that's a solid reason to skip the trip to the polling center. But what if women in labor didn't have to miss out on voting? According to The New York Times, Lenox Hill Hospital on the Upper East Side of Manhattan has come up with a clever solution. Erin Ainslie Smith, an assistant nurse manager, and Lisa Schavrien, an obstetric nurse navigator, launched a program at Lenox Hill to help their birthing patients vote via absentee ballot. “We’re doing all the legwork,” Smith said. She and Schavrien manage multiple runs to scoop up and drop off absentee ballots at the Board of Elections offices in all five boroughs of New York City as well as in Westchester, Nassau and Suffolk Counties. If you know what traffic is like in these areas, well, you'll recognize these vote volunteers are heroes. The idea hit Smith in 2016. She had noted that many of her patients were having trouble navigating the absentee ballot procedure. Schavrien also helped another patient to vote that year for the first time. Volunteers drop off absentee ballot applications, then bring ballots to the hospital for patients in need. Then the volunteers return the completed ballots to the Board of Elections. Smith and Schavrien decided they would continue their effort to make it possible for every Lenox Hill Hospital patient to vote by 2020. So it's not just for women in childbirth. The program seeks to serve anyone at the hospital — partners and family members included. The two women hope other hospitals will create similar programs to help those sidelined by labor or injury or unexpected illness to vote. “In New York City we have a lot of medical institutions and smaller hospitals, and then multiply that by 49 other states and that’s a huge population of people who don’t have the opportunity to vote because of an unplanned event in their lives,” Smith stated.